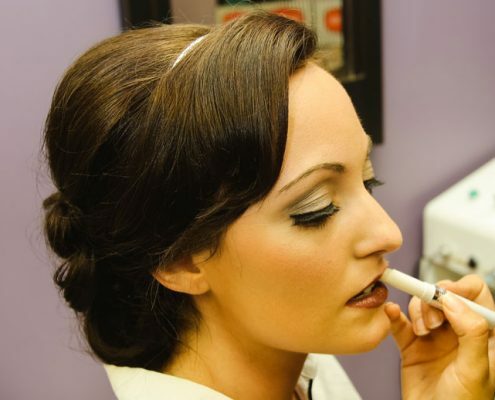 Let us take care of hair & make-up removing any additional stress on your special day! We can help you create your dream look on your wedding day. 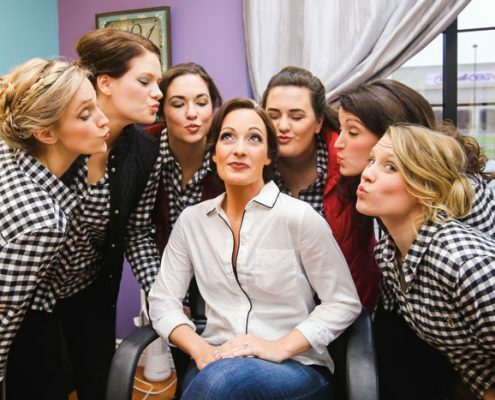 Why choose Fusion for your Bridal Party Hair & Make-Up? We can come to you or you can come to us for hair and make-up the day of the wedding. We will gather all the details and work with you to make it a stress free experience. We even have a small room for you to use inside the spa if you need room for a small party such as a bridal shower! Let us help you feel beautiful inside and out on your wedding day while saving some money. We can do hair, make-up, facials, massages, waxing, bachelorette parties & bridal showers! With 5 or more guests, you will receive 15% off your services that day! Let us customize everything for YOU and your needs on your special day. Since our opening in 2012, we have loved helping brides and their groups be as beautiful as possible on their special day! Let us customize a stress free experience getting ready for the big day knowing your hair and make-up will be perfect!